You are entitled to use the clip art, papers and labels in personal and small commercial endeavours. When using for small commercial you must add a credit link somewhere to http://www.gradeonederfuldesigns.com. A GO Designs logo is included in your purchase and this can also be used. If you intend to sell more than 1000 copies of your product using some of my clip art, papers, or labels you must contact me for a large production license. This does not apply to digital download teacher products (e.g., Teachers Pay Teachers, Teacher Notebook). Use the clip art, papers and labels in educational games, puzzles and lessons plans (for resell) BUT the images MUST be a small part of a larger body of your ideas. Use the clip art, papers and labels in postcards, report cards, certificates, invitations (for resell) BUT the images MUST be a small part of a larger body of your ideas. 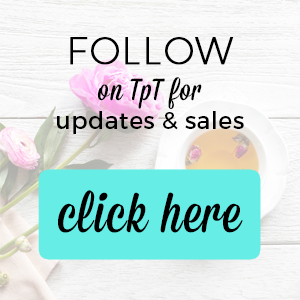 Use the social icons on your product pages (many TPT sellers use them to link to their social sites). Use the social icons on your own TOU pages. Use the social icons on your own blog, web page, or business cards. Use the social icons on your clients' blog, web pages, and business cards, but you MUST purchase a new set for each client. You may not use the same set of icons on multiple projects. Use my images to create your own pieces of clipart. Alter my images. It’s okay to resize them, but you may not change the colour or distort them in any way. Share, trade, redistribute or sell my clipart. Use my images to create products that contain colouring pages only. Use unsecured images when they're part of a product you're selling. They must be flattened so that no one can lift them. Use my images in print on-demand (Vista Print, cafe Press, Zazzle) commercial products such as t-shirts, stationery, mugs, stickers, buttons, greeting cards, etc. Use for personal and classroom use only. Share, trade, redistribute or sell the dice, coloring books, and class decor, or any parts of them.